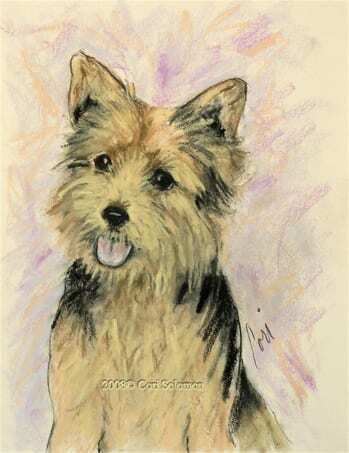 Pastel drawing of a Norwich Terrier. This dog art is matted. To purchase this Norwich Terrier drawing email Cori.